Will OpenStack in containers be a big topic of discussion. From a high-level I get some of the appeal. But are there improvements in Mitaka that lend itself to stateless compute? top attended sessions at recent summits, @coreoslinux attends, @docker is discussed. Kubernetes is the new hot topic. What do you mean stateless compute? Containers, cloud-native apps, serverless computing? @stu The user survey shows big increase in use of kubernetes as opposed to docker swarm. Meaning the management layer running in containers ie Heat in a rkt container. It allows for versioning of the mgmt layer. But can OpenStack management nodes easily operate in such an infrastructure. @kenhuiny user survey showed top 3 technologies of interest were 1) Containers 2) NFV & SDN, 3) Bare Metal. @sparkycollier OpenStack on k8s as an application, or OpenStack with k8s as a container scheduler for applications? more noise has been made about containers *on* OpenStack but definitely lots of work being done on the backend on containerizing OpenStack itself. Main improvement in Mitaka from this perspective is probably Kolla upgrade support. @xsgordon what's the difference between Magnum and Kolla? @bgracely @xsgordon My understanding is Magnum focuses on containers 4 workloads on OpenStack & Kolla focused on deploying OpenStack using containers. @kenhuiny yes, there is a bit more flexibility regarding workloads though - folks also using Heat directly or even just rolling their own using e.g. Ansible on older clouds that don't have Murano/Heat yet. Existing deployments will of course also need an upgrade path to get to containerized OpenStack in the first place (not an issue for greenfield). Also, User Survey showed Magnum #1 project of interest (44%) followed closely by Manila. What's New in the Mitaka release that IT Organizations or Developers should care about? I saw @sparkycollier talk about Mitaka being more focused on operations and running the platform. Would love to understand more. Be particularly interested in hearing what end users are excited about. @sparkycollier That's big. 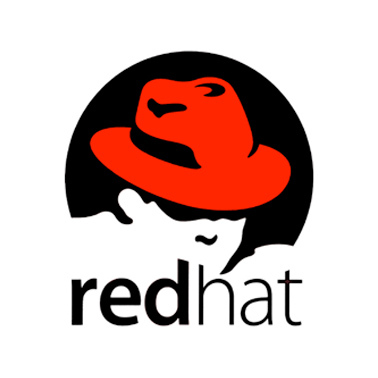 The recent user survey cited APIs as the top reason 4 deploying OpenStack. From an operational perspective it's great to see rolling upgrade support making its way to more projects, incl. Cinder in Mitaka. A lot of the user driven improvements were directly from users like Comcast, Time Warner Cable, China Mobile, Yahoo!, Walmart, Deutsche Telekom who've been running in production over time. Deployments are still being cited as pain points. What has improved there with Mitaka? @xsgordon it's still strange that functionality like "rolling upgrades" doesn't make it into all projects. this is why people struggle with how to understand OpenStack. @bgracely did someone say something about a big tent? In general, how stable is Neutron in Mitaka? That's an area that is frequently called out as needed more work. Is it production ready? @bgracely The user survey shows that over 90% (i think?) of deployments are using Neutron, so I'd say so. There's still a lot of variation on the backend, though. @xsgordon e.g. Nova rolling upgrades got people a long way, because the VMs stay up while we move everything else around them. most users are running Neutron in production for the past 2 or 3 releases and with Liberty we actually heard really positive feedback. Mitaka took the stability of Liberty and added some ease of setup improvements for operators. A big theme in the past 2 Summits is enterprise adoption, particularly enterprisey apps. Where are we with that in Mitaka? Do we get to a day where Oracle runs on OpenStack and not just only cloud-native apps? will we see Microsoft or more Google (other than Kubernetes) deeper into OpenStack? I recently learned of a large bank running Oracle on OpenStack in production, and SAP is also doing a lot to support OpenStack. SAP is doing a keynote in Austin, in fact. I keep hearing that there is a proposal to add vMotion-like functionality to OpenStack. Is that the last piece needed to get traditional apps on OpenStack? @bgracely this is delivered by a combination of API hooks for e.g. Nova hooked into existing HA tools (e.g. Pacemaker) number of vendors have this working now, still more failure types to be handled in future though. @bgracely That and VM HA. @russellbryant has written a bunch about it. @xsgordon OPNFV has been working in the community to help OpenStack evolve to meet the needs of the Telecom industry. Collaboration is key! 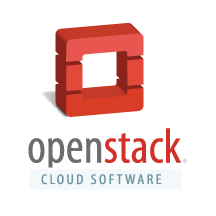 What's the biggest misperception about OpenStack in the market today? I think there is still some misunderstanding about project vs. product. Users expect the project to be a polished product. That OpenStack as it exists on openstack.org is a product. that depends on consumption model, consuming directly from the Open Source fire hose comes with its own challenges. Some operators are able to manage this and contribute back, and we should applaud that, but it's not for everyone. one is that containers are somehow competitive with OpenStack, when in fact they are just another useful tool that can and will be adopted up and down the stack. Kolla for example is a project to put OpenStack services into containers. I was sort of surprised that in 2016, I was still seeing major vendors having to do OpenStack 101 presentations to the market. I think it's right to expect the core/kernel to be polished and stable. But productizing it is often a bigger task. @sparkycollier I think we create some of this ourselves by talking about OpenStack support for Containers, VMs, and baremetal. Containers really run on one of the latter two "machines". I think that from within the cloud world we have known what cloud (and openstack) are for years, but when you get outside that bubble your realize a HUGE amount of IT isnt on any kind of cloud. So the 101 talks are still necessary. @sparkycollier Mark, to put it more bluntly; the idea that COE+ Containers on baremetal obviates the need for OpenStack/ IaaS layer. I think it's a general lack of knowledge around the different projects. OpenStack as an umbrella project isn't too well understood. @sparkycollier agreed about containers. The PaaS companies are fighting the same misperception. Containers are a thing. Operating them is a much more complicated thing. Many options available. We see requests for 101 presentations often, and we're working on one with an MVP by early June. And a number of vendors are offering free OpenStack training in Austin as well.